Starting with PicsPro for Picasa version 4.2.8, one of the most requested features is now available: web album caching for offline viewing. 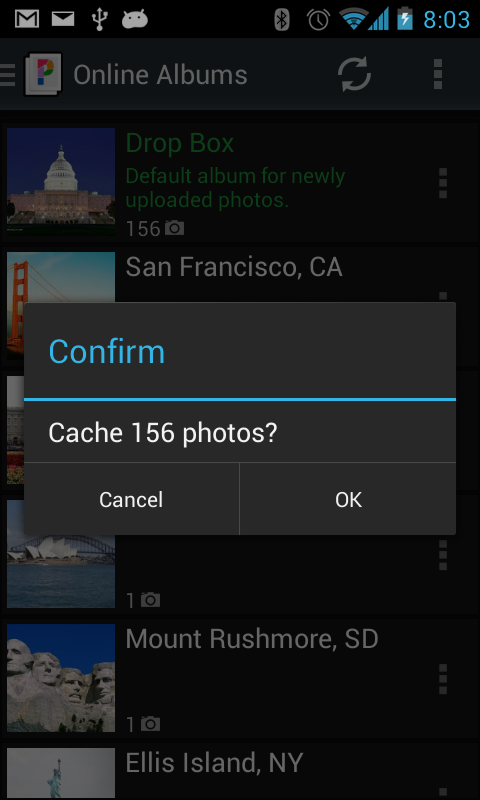 To save your bandwith, the caching is performed on demand, for specific albums. 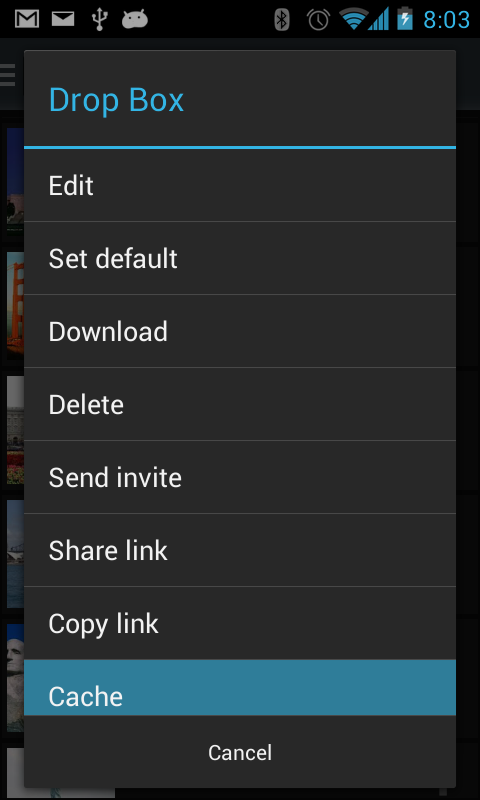 You can cancel a cache in progress at any time, by dragging down the download icon from the notification area and tapping on the notification entry. Note: on some devices, especially when using high resolution photos, you may still see a "loading indicator" in the full-screen photo view. This is because the app reads the photo from the SD card and resizes it to fit the screen. 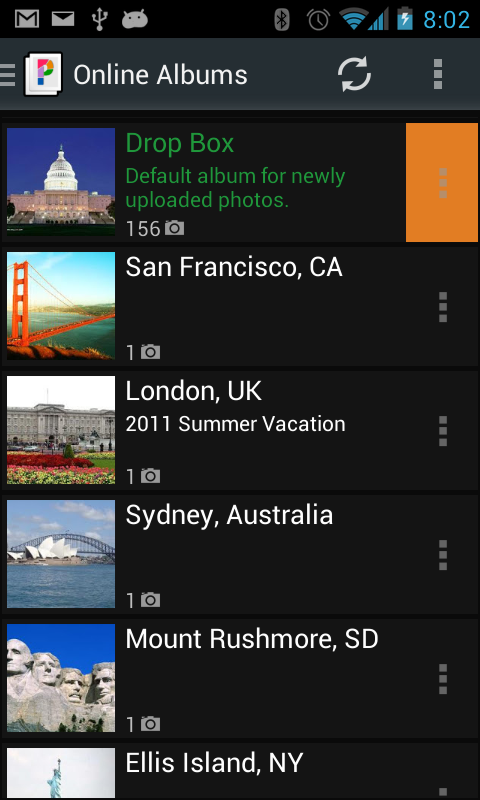 You can validate that the photos are really cached by putting your phone in "airplane mode".